June 6 is D-Day, and the NaHaiWriMo theme of the day is: FREEDOM. 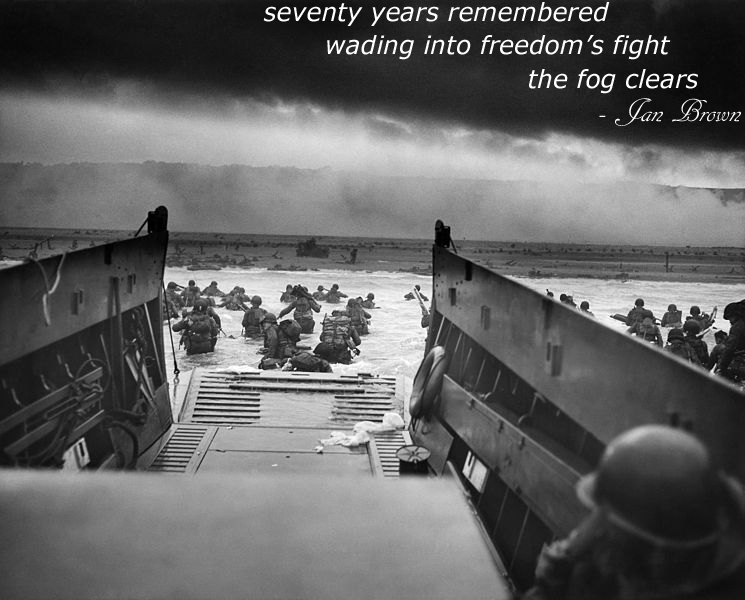 As I create this posting, it is 06:30 at Normandy, France–exactly 70 years after the Allied invasion. This photo was taken that morning. My haiku/haiga is a small token of honor for the thousands lost that day, and for those who lived through it to know victory.